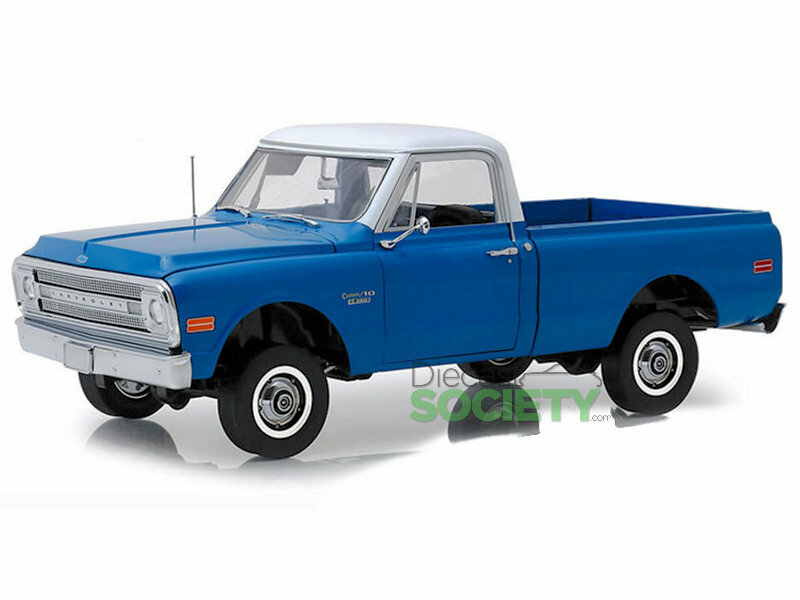 GreenLight/Highway 61 will be introducing a couple 1970 Chevy C-10 pickups in 1:18 scale. The feature is based on the “Texas Chainsaw Massacre” (1974) movie – she is completed in Light Blue. The second finds a Dark Blue with “Lift Kit. Features include full access and rear opening tail lift. Full plumed and wired motor is mated to working driveshaft, pretty cool if you ask us! Each will be available come May 2019. Suggested retails $124.95US. 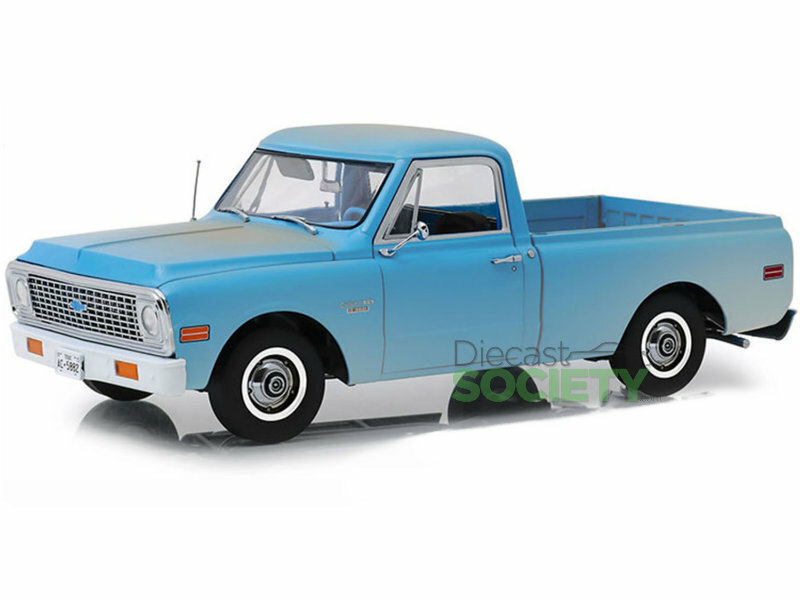 1 Response to "Highway 61 1970 Chevy C-10"
Also, I find their products lacking some finesse just to elevate them a notch or two. Speaking from my experience of owning some 1:43 Fast & Furious models.